That’s the warning from industry officials, traders and miners, who told a major coal conference in Shanghai on Tuesday that China’s cuts to Australian coal imports would be greater than from other suppliers such as Indonesia and Russia, confirming the fears that existing restrictions and delays would drag on. While officials denied import restrictions were politically motivated, Chinese coal traders said privately Australian exports was being targeted. One trader said Australian coal was now banned at all ports in China, but two others said the situation was unclear and coal was still getting through. The grim outlook at the Coaltrans China conference was the latest blow for the embattled coal industry, under pressure from the environmental lobby and restrictions on imports imposed by Beijing since January. Coal is shaping up as a key federal election issue in Australia, with the proposed Adani coal mine in Queensland splitting Coalition MPS. Traders, analysts and officials told the conference that China faced an oversupply of coal which would hurt imports. Australia accounted for 29% of China’s coal imports last year, second to Indonesia at 45%, the conference was told. They also said China could agree to source more of its energy supply, including coal, from the United States as part of a trade deal with Washington. 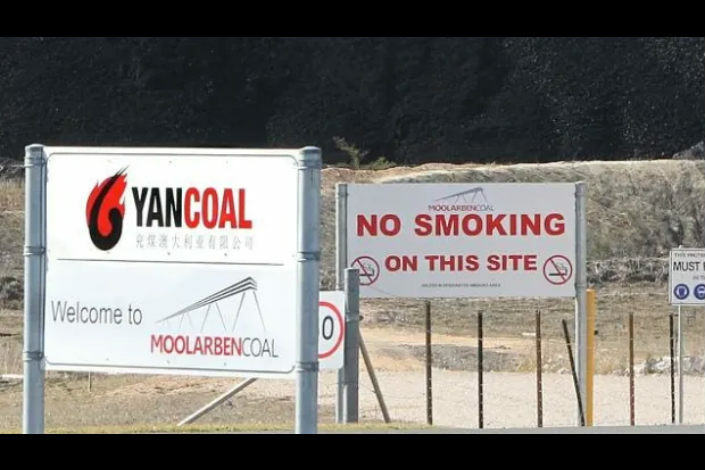 Rodrigo Echeverri, head of research at Noble Resources, said the coal industry faced a “big, big problem” because gas was cheap and there was a glut of supply in the Chinese thermal coal market. He said China’s coal inventories were at their highest levels since 2015. Echeverri said the expected fall in China imports would mostly hurt Australian mid-CV (calorific value) coal by 15 million tons, while Indonesian coal demand would remain strong. Many observers at the conference said there was a political component to Chinese demand, although it was not something officials would talk openly about. “If China reaches an agreement with the U.S. there has to be a drop in Australian exports … it has to be Australian right?” said Chris Atkinson, the manager of market analysis at Anglo American, said. 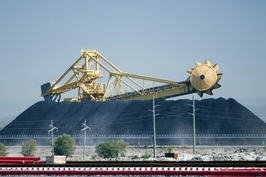 The Australian dollar and mining stocks fell sharply earlier this year following reports than ports in Northeast China had banned Australian coal. The Chinese and Australian government denied the report, but confirmed shipments were being held up by up to 45 days. The move to ramp up environmental checks on Australian coal is worrying the Australian government and mining industry, although it is not believed they are aware of an outright ban. China will not confirm any move that is seen to favor domestic coal, and traders say the issue is too politically sensitive to talk about on the record. Wang Hongqiao, vice president of the China National Coal Association, said there would always be demand from China for coal, but it currently faced an oversupply. “We will have a slight surplus of capacity,” he said, adding that China would produce an additional 100 million tons of coal this year. China has approved 12 new coal mining projects this year as it focuses on higher-quality and more efficient mines after closing down thousands of inefficient operations. 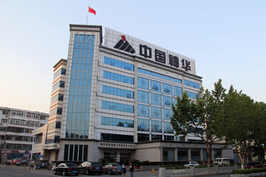 Thermal coal exporter New Hope Corp said last month revenue from exports to China fell sharply over the six months to Jan. 31, sending its shares down. The company has, however, been able to make up the shortfall by selling to other markets in Asia. Many analysts believe there is a permanent shift taking place in how China sources coal, which has long-term implications for Australian miners and the nation’s economy. But others say it is the temporary result of the amalgamation of small Chinese coal mines, which means coal is being cleared cheaply at a time when demand has slowed.